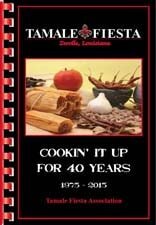 My name is Leanna MarKay Martinez and I am the 30th Annual Zwolle Tamale Fiesta Queen. I am the 20 year old daughter of Mark and Donna Martinez. My paternal grandparents are A.T. and Nannette Martinez of Shreveport. My maternal grandparents are Jake Procell and the late Janie Procell of Noble. My godparents are Thomas and Jeanette Garcie of Zwolle. I have two brothers, Stephen and Jason, an older sister, Laura, and one nephew, Brentley. I am a 2004 graduate of Ebarb High School. I was Valedictorian of my class and very active in basketball and cheerleading. I was also involved in many clubs and organizations such as Family Career and Community Leaders of America, Future Business Leaders of America, Fellowship of Christian Athletes, and BETA. I am currently enrolled at the University of Louisiana at Monroe where I am majoring in pre-pharmacy. At ULM I’m involved in Phi Eta Sigma Honor Society, Emerging Scholars Graduate Studies Program, and Hometown Indians Recruiting. I am currently a sophomore and I plan on applying to the College of Pharmacy in Monroe in the fall. I’m a member of St. Joseph’s Catholic Church in Zwolle, Louisiana. In the past I have served as a church lector and was also a member of the youth choir. My hobbies include shopping, spending time with my family & friends, reading, cooking, and going to the movies. I would like to thank my parents for sponsoring me in the pageant and also everyone else that helped me prepare for that night. 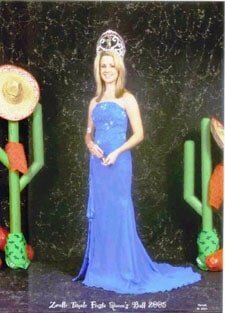 I am proud to be representing the Tamale Fiesta and the town of Zwolle as the 30th Annual Miss Zwolle Tamale Fiesta Queen.